Photo: With extra water available for the environment in the Murray-Darling Basin Plan, residents are concerned environmental flows will damage the river system. David Miles, a pig farmer from Kotupna, says the use of the water in summer rather than winter has damaged the river system. “I don’t think that would have been their choice, but now the bank is slipping in and eroding. Other residents in the region have also complained about damage, but flows are only going to become more frequent. 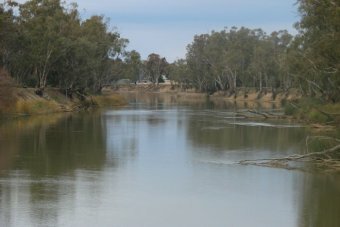 Under the Murray-Darling Basin Plan, at least 2,750 gigalitres of water will be available for use as environmental flow. That is a much larger amount than authorities have had in the past. The Goulburn Broken Catchment Management Authority is responsible for the delivery of environmental water in northern Victoria and says it’s still learning about the impacts from flows. It has set up cameras to monitor damage in the lower Goulburn. However, CEO Chris Norman says environmental water will change the river system. “There has always been impacts on the streams through any flows, so it’s actually a natural event that the river is affected by flows up and down. Mr Miles says it is almost impossible to repair the damage. “The river is going to get bigger and bigger, which it doesn’t need to do. Trees that wouldn’t have fallen in are starting to fall in now.